In response to growing demand for its reports and consulting services, Display Supply Chain Consultants (DSCC) is pleased to announce that it has opened a Shanghai office and hired Rita Li as Director of China Operations. 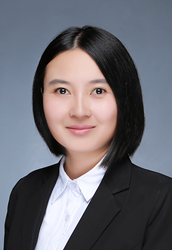 Ms. Li has over 10 years of experience in China’s emerging flat panel display industry. She worked for 3 years in Business Development at Universal Scientific Industrial (USI) where she managed supply chain management internally and maintained key external client relationships with AUO, Innolux and others for PCBAs. She then worked for 5 years at NPD DisplaySearch where she had responsibility for display and solar/PV sales and marketing in China playing a critical role in the company’s growth in reports, consulting and events. After the company was acquired, she moved to a public display solutions company in 2015, which brought metal mesh technologies to the China market and played a critical market and business development role there. DSCC has developed a growing number of display supply chain reports with particular emphasis on the rapidly growing OLED market. It has also been responding to a steady demand of consulting projects and ran the SID Business Track in 2017. For Chinese and Taiwanese companies looking to gain more information on DSCC, Rita Li can be contacted at rita.li(at)displaysupplychain.cn or 86.137.6493.4841. DSCC was formed by experienced display market analysts from throughout the display supply chain and delivers valuable insights through consulting, syndicated reports and events. The company is in the US, China and Japan and is on the web at http://www.displaysupplychain.com.